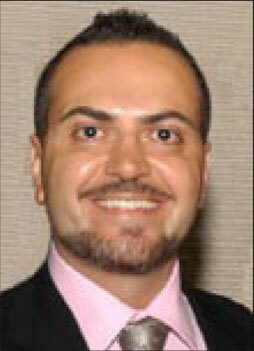 Dr. Houman Sarshar received his B.A. in French and English literature from UCLA in 1990 and his Ph.D. in comparative literature from Columbia University in 2000. He is an independent scholar, a member of the University Seminar Series at Columbia University, and the Director of Publications at the Center for Iranian Jewish Oral History, where he has been a member of the board of directors since 1995. He is the co-editor of three volumes of The Contemporary History of Iranian Jews, and a contributing author to The Encyclopedia lranica and The Encyclopedia of Jews in the Islamic World. His most recent book, Esther's Children: A Portrait of Iranian Jews was released in 2002. A licensed psychoanalyst, Dr. Sarshar is a graduate of the Gestalt Associates for Psychotherapy in New York, and holds a post-doctorate in Jungian psychoanalysis from the Center for Psychoanalytic Perspectives in New York. Dr. Sarshar has published various articles on Judeo-Persian history and culture as well as modern Persian literature, including the entry on Sohrab Sepehri for The Encyclopedia lranica. Dr. Sarshar is presently working on his next book “Of Wood and String” The Role of Iranian Jews in the Preservation, Proliferation, and Development of Persian Classical and Popular Music.